The Mecklenburg County Board of Commissioners adopted the resolution on Tuesday, with six in favor and three against. 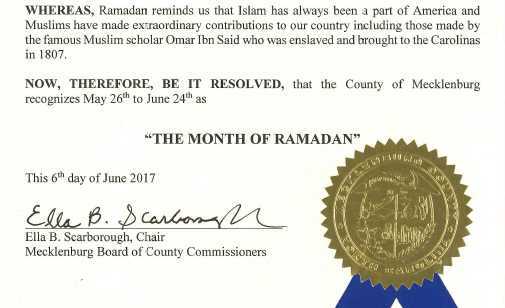 It asserts that Islam is a part of America’s history and that Muslims should be recognized for their contributions. 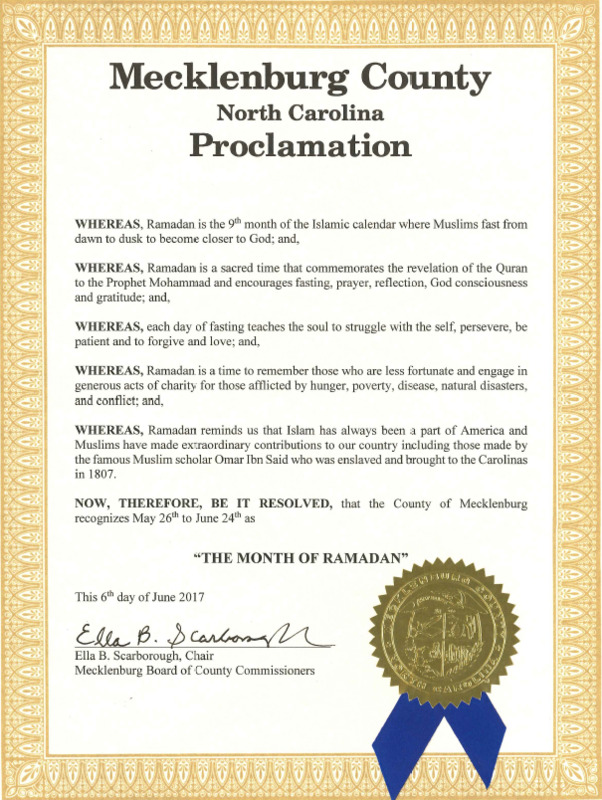 Democrats George Dunlap and Dumont Clarke were the sponsors of the proposal, and during the commission meeting last week, those in favor of the resolution spoke to those gathered about the traditions that are observed during the Islamic holiday. Commissioners Jim Pickett, Matthew Ridenhour and Bill James were the only board members to reject the idea. “To the best of my knowledge we have never (and I don’t think it would be proper) adopted a resolution in support of Lent … Easter, Christmas, Hanukkah, Passover, Yom Kippur, Pioneer Day for Mormons, or Diwali,” Puckett said in an email, according to the Charlotte Observer. The Wisconsin-based Freedom From Religion Foundation (FFRF) has also expressed objection, writing a letter to the board to assert that the resolution violates the U.S. Constitution because it entangles the government with religion.